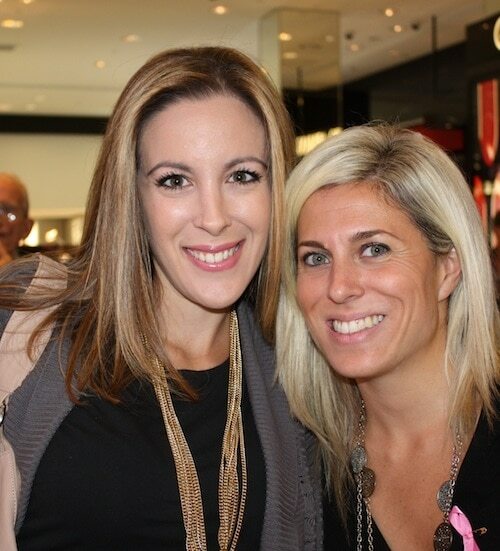 Last night I was invited to Bloomingdales to support Estee Lauder’s 2010 Breast Cancer Awareness Campaign. This event was near and dear to my heart because one of my best friends Audrey McClelland and her family were actually part of the shoot. What an experience! Their picture was in WWD yesterday and has made such an impact on the movement. Here’s a little video I made from last night’s festivities. Elizabeth Hurley was on hand to sign product and do a meet and greet with fans. I snagged a picture with her (thanks to Audrey) but don’t have it yet to include in the post. I will post as soon as I get it. Yes, she was as beautiful as you think. STUNNING!